If cutting with the SoniCrafter wasn't easy enough for you, their new SoniShear attachment simplifies the task even further. The SoniShear attaches to the SoniCrafter the same as their other accessories, and adds scissor like cutting capabilities to the tool. 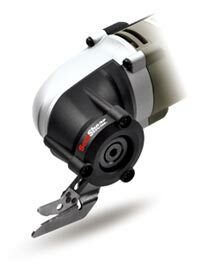 The shearing blade operates at up to 20,000 strokes per minute, and Rockwell says it can cut materials up to 5/16” thick. Things like corrugated board, plastic packaging (I know we all hate this), leather, carpet, canvas, netting, vinyl sheet, paper, and rubber matting should be no problem for the new attachment. 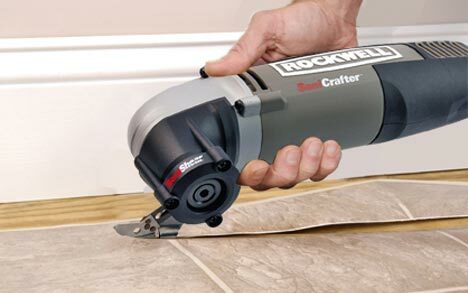 The Rockwell SoniShear Model #RW9247 is set to be priced at $24.99 and is expected to be available online and in stores in early spring 2010.